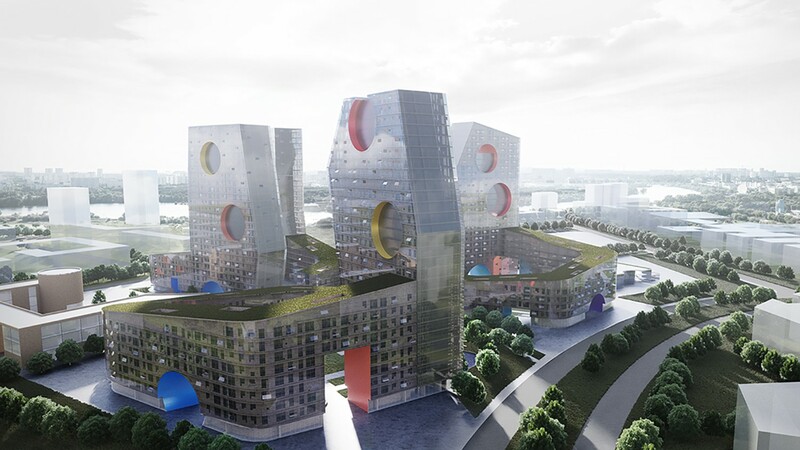 The new residential towers development in the Tushino district of Moscow will provide a new mixed-use center filled with housing, social spaces, a kindergarten and an elementary school on a former paratrooper airfield. 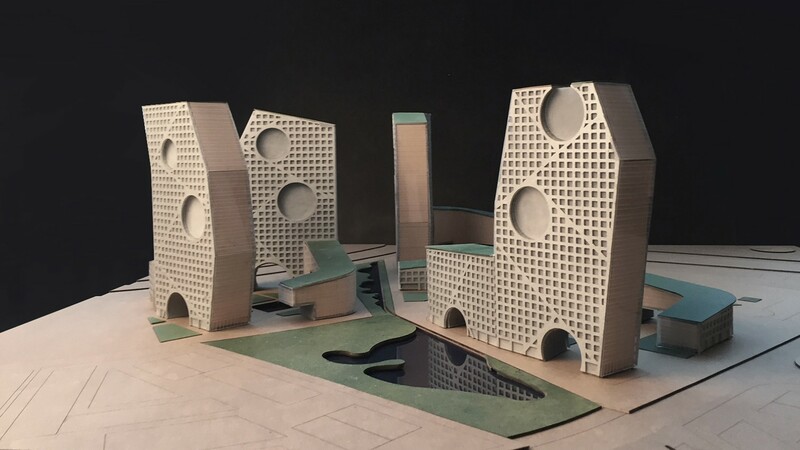 Steven Holl Architects, in collaboration with Art-Group "Kamen," proposes a new building typology, “Parachute Hybrids,” which combines residential bar and slab structures with supplemental programming suspended in sections above, like parachutes frozen in the sky. 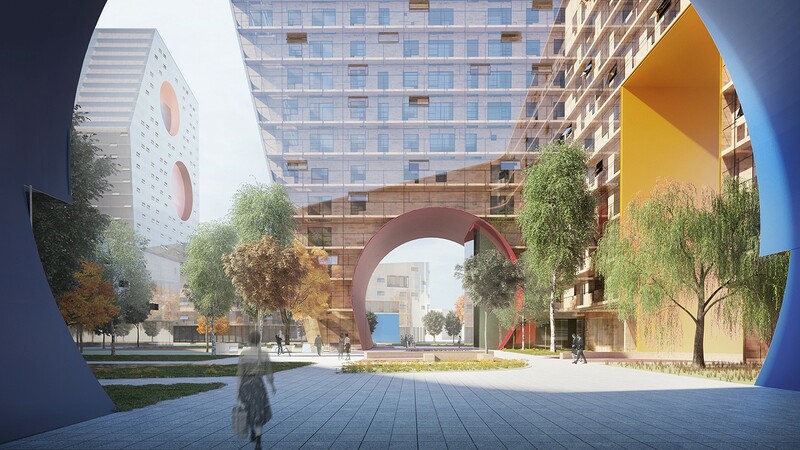 Large circular openings in the towers’ facades give a defining geometric character and express health and social spaces. The master plan is organized to shape public space with maximum sunlight exposure. The buildings wrap around to create large, public garden and playground spaces as a reference to the site’s former use as a paratrooper air field. The project also emphasizes the importance of a comfortable living environment, incorporating rich infrastructure and education spaces into the programming. The new kindergarten and elementary school are designed to stand alone in architecturally distinct buildings that take advantage of natural light and green space. 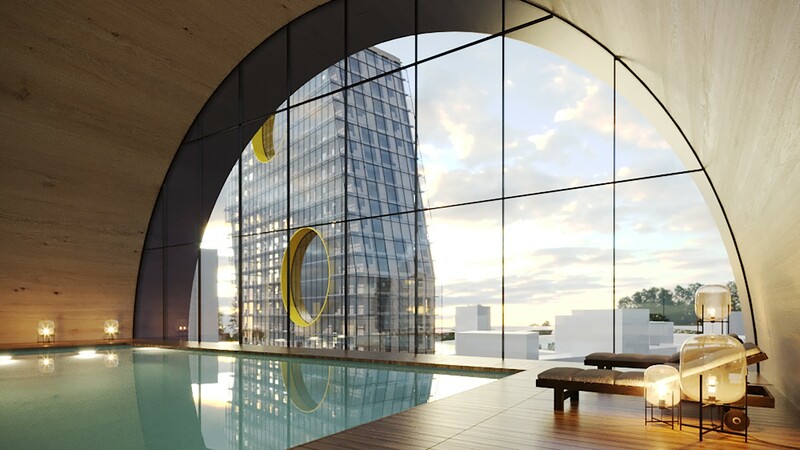 The housing complex will also contain amenities such as health spas, pools, cafés and lounges. 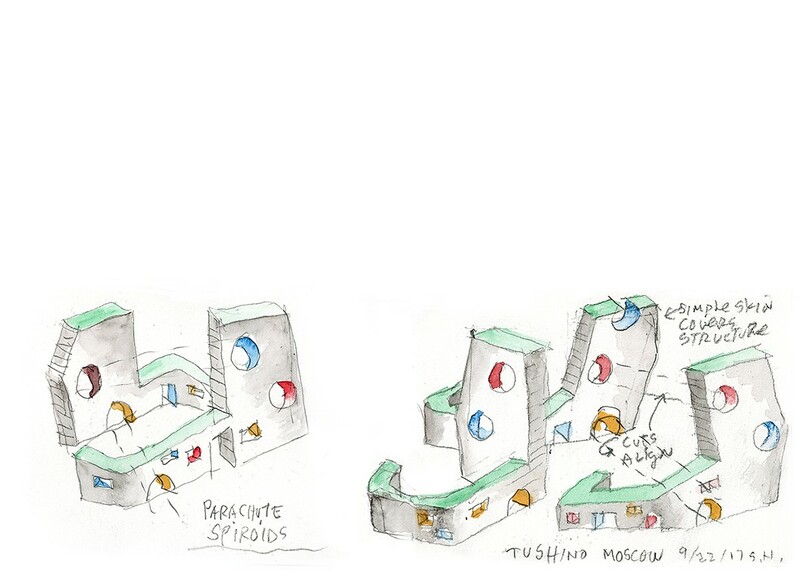 Tushino will have a mix of housing types and will provide homes for all economic brackets. The design of the project utilizes green roofs, daylighting, rainwater recycling, and geothermal heating and cooling. Apartments will be enclosed in a thin section facade of operable glass that will help insulate the buildings in winter and create open balconies for every apartment in warmer months. Eco corridors, undisturbed by automotive traffic, run through the site and connect to the Moscow River.